Double Hanging Garment rack - It is also a Textile used racks,to stores in dress and other things,. Due to our specialization in domain, we are engaged in providing large range of Hanging Garment Rack. Our product is highly demanded in the market for their sturdiness and fine finish. The offered product has high load bearing capacity and used in various places. Customers prefer us for offering quality tested and compact design of Double Hanging Garment Rack. Revolving stand used for industry and textiles, in unique to display in products stores. 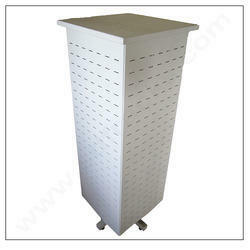 Revolving stand is easy and economical way of displaying Good looking. 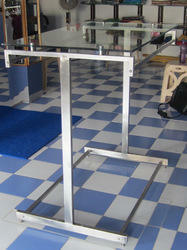 We are one of the prominent manufacturer, supplier and service provider of Rotate Rotating Display Stands. Our Supplying range is fabricated by utilizing the best quality raw materials and advanced technology tools. These products are available only in manufacturing industry and store a large amount of materials and shown in good.